Byers Peak rises in the cold air on a June morning. 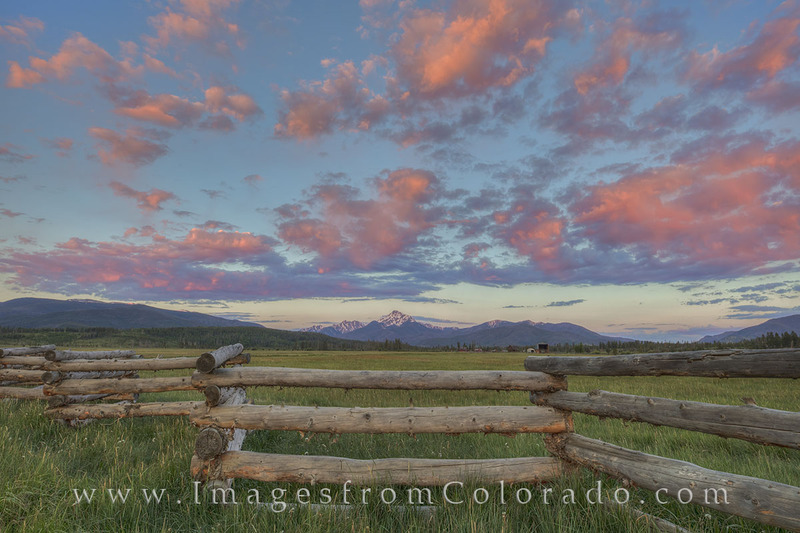 This Colorado photo comes from the Fraser Valley near the towns of Winter Park and Fraser, Colorado. Taken along a dirt road, the image tries to capture the beauty of this serene landscape. Photo © copyright by Rob Greebon.